TOPAZ HORIZON: Vito goes furniture shopping! 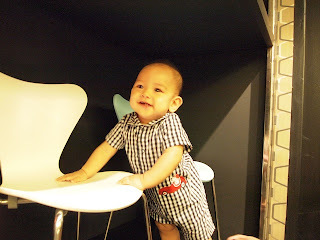 Look who we caught shopping for modern furniture! 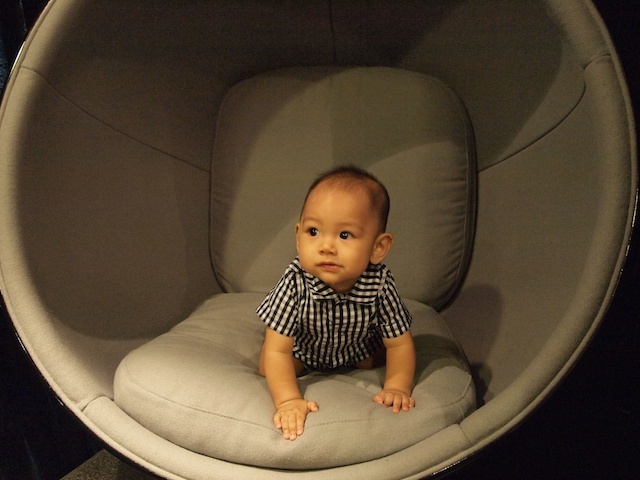 Vince and I brought Vito to his Auntie Anj's chair boutique, About A Chair. He had been fussing at the lunch table, mostly because 2pm is when he starts his nap time so we figured we'll just do a quick stop at the shop then leave. Well, as soon as Vito saw the miniature versions of these designer chairs, he came alive! Let me repeat: They're mini versions! So adorable. Vito happily climbed over them, tested them, and gurgled over them. I think he liked the Ball Chair best. The cushion's very soft and it feels like a cocoon. Are we buying? Well, first Vince and I have to buy that sofa we wanted at BoConcept! And then we'll buy Vito his own chair when we move to a bigger apartment or to a house house, which isn't for a good long while. Sigh! But if you're looking for fantabulous accent/designer chairs for your home, I highly recommend About A Chair! 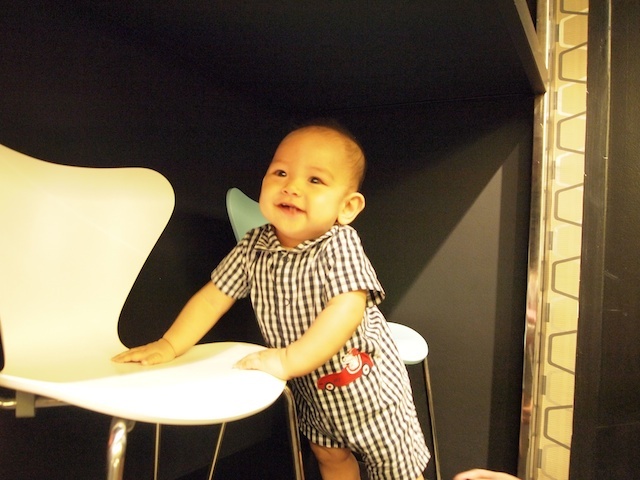 I love the pic of him on the mini Panton. :) Do they have the mini Louis Ghost? Again, Vito looks adorable! 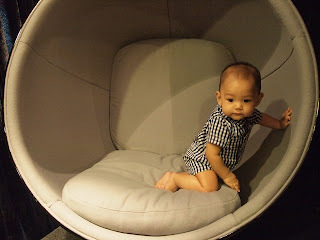 And that ball chair looks so comfy. Aaah I can just imagine reading a good book in there.. must be like my own ball of heaven! Frances, how old is Vito? He's really so strong, noh? He's super cute. 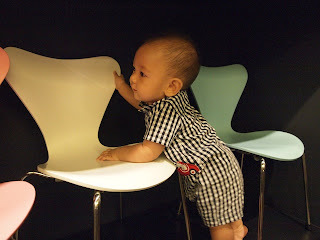 Enjoying the chairs! Tisha, hmmm. They don't! But Rustan's does! Crickette, he's just 7 months old. We call him Samson now. He's so strong. We have bruises everywhere!